Traditional Tseshaht salmon barbecue will raise funds for pediatric cancer research. RCMP Cpl. Brady Mathison is the Port Alberni detachment’s Tour De Rock Rider this year. This year when the Cops for Cancer Tour de Rock stops in Port Alberni, riders will be celebrated with a traditional salmon barbecue, courtesy of the Tseshaht First Nation. The Tseshaht has embraced the Tour de Rock—and Port Alberni RCMP rider Cpl. 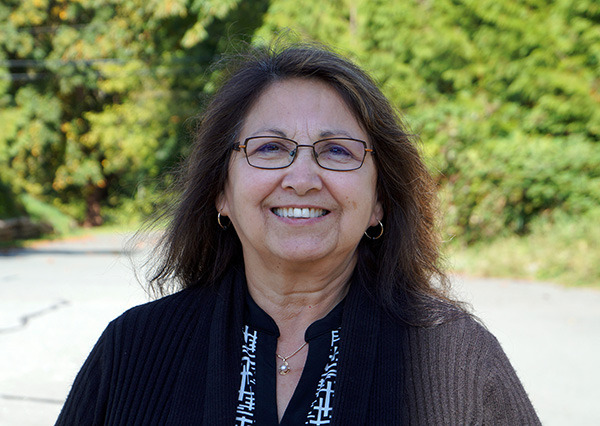 Brady Mathison—as their own this year, under the direction of Matilda Atleo, Nuu-chah-nulth Tribal Council Nursing Services health promotion worker, and Irma Robinson. The band has held a number of fundraisers and will host the community dinner. Atleo said she has noticed an increase in the number of people afflicted with cancer in the community. She lost a sister-in-law three years ago to cancer, and a niece was diagnosed earlier in the summer. “Once you’re affected by a family member [having cancer] you kind of notice it more,” she said. The message the Tour de Rock brings—that of raising money and awareness for pediatric cancer research—is an important one, she said. Atleo has held more than three personal fundraising events in memory of her sister-in-law, and said other groups within the Tseshaht have held events too. “Our community members have done 50/50 draws at the fish days,” she added. Atleo said the band will present the funds they have raised to the Tour de Rock members at the community dinner. Kory Robinson, a Tseshaht member, has said he will shave his head if he can raise $2,000 by the time the riders come to town. “He has long hair,” Atleo said. The Robinson family will take care of the traditional barbecuing of the salmon outside Maht Mahs Gym, 5000 Mission Rd. past the Tseshaht Administration Building. The salmon has been donated by the Tseshaht. Students from Haa-huu-payak School will perform dances at the dinner and there will be other entertainment as well as a silent auction. The band is also raffling off 30 pounds of fish, an iPad and $100 cash. Tickets for the dinner are available at the Canadian Cancer Society office on Third Avenue, the Tseshaht Admin Building as well as from Atleo and Robinson. Tickets are by donation. There are 400 tickets available for the barbecue. Doors open at 5 p.m. and dinner will be at 6 p.m.
“We hope to get a good turnout,” Atleo said. The Tour de Rock starts on Saturday, Sept. 24 in Port Alice. The 2016 team of 17 riders will arrive in Port Alberni on Friday, Sept. 30 after a 51-kilometre ride from Parksville. The ride concludes Oct. 7 in Victoria.